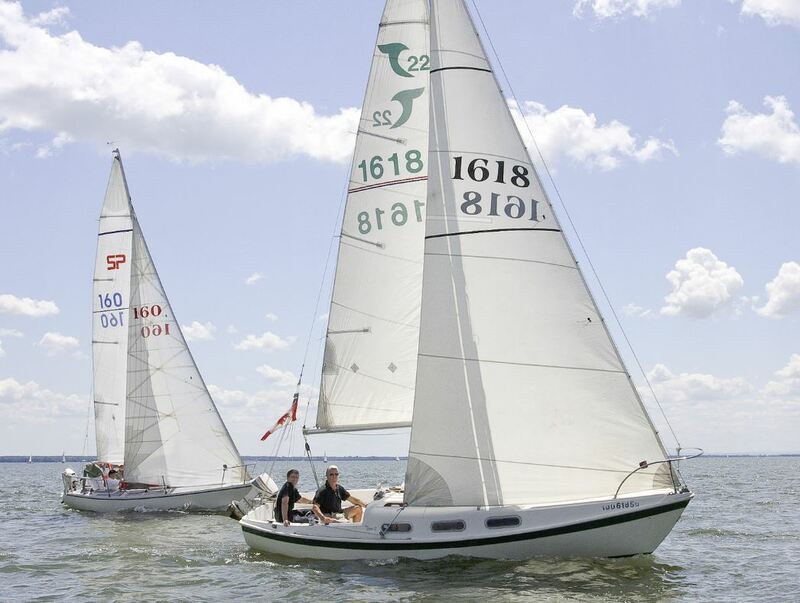 Collins Bay Yacht Club has a long history of sail training, and the CBYC Sailing School is known for offering a welcoming learning environment and a solid program of instruction for both youth and adult students who want to learn how to sail. CBYC is a Sail Canada member school and we hire only the very best instructors who have been trained and certified by Sail Canada. Our instructors take each student through the basics of sailing including rigging a boat, points of sail, rules of the water and general sailing safety. 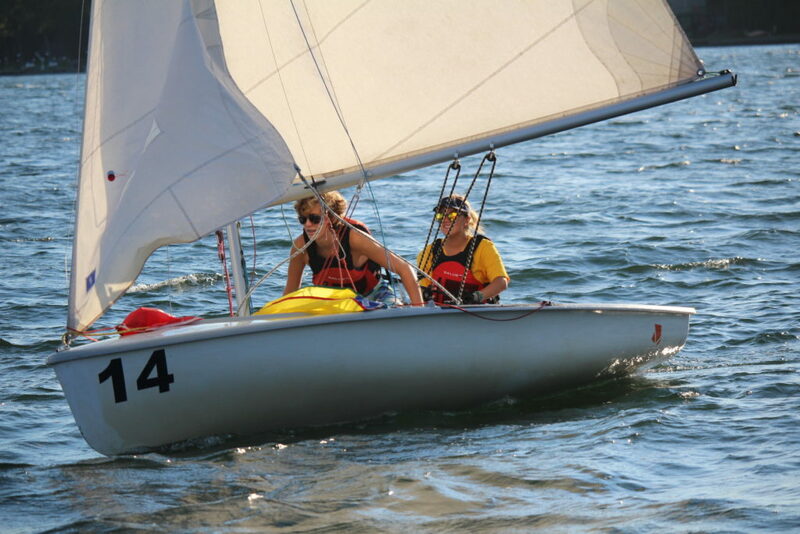 We are committed to providing the highest standard of sail training. 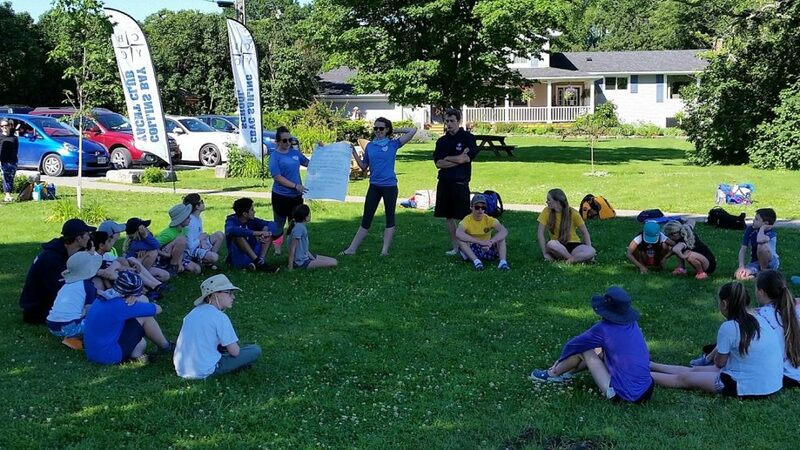 Many of our instructors started as students with our school, and other instructors with experience at other schools are hired to bring fresh ideas for our programs; all have had years of training and achieved national certification through Sail Canada. We encourage and support our instructors to upgrade qualifications as they gain more experience. To ensure students get the very best coaching, we ensure the ratio of instructors to students exceeds national and provincial guidelines. We have a great set of volunteers each year for our youth program that consist of our current and past students. Youth Volunteers are required to be at or above the CANSail 4 Level. The youth volunteers receive volunteer hours for high school with this position. At least two volunteers are needed for each session. If you are interested in volunteering please contact the Sailing School Administrator. Our policy as a not-for-profit organization is to invest revenues into new equipment. 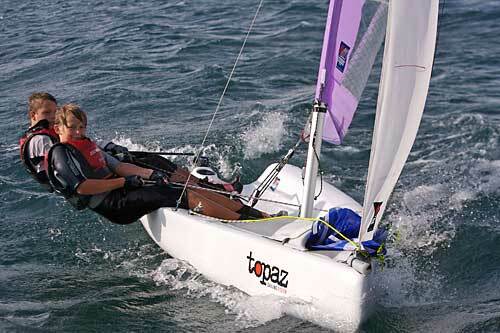 We pride ourselves on the quality of our sailing fleet:fleet Topaz Toppers for our CANSail 1 and 2 program, Club 420’s (the preferred training boat for CANSail 3 and 4 level), and our Tanzer 22 for Adult Keelboat courses. CANSail 5 students will use either Club 420’s (for double-handed sailing) or bring their own Laser Radial (for single-handed sailing). Collins Bay Yacht Club Sailing School is located in a park-like setting on the grounds of Collins Bay Marina in the west-end of Kingston, Ontario. The Marina is at 1270 Coverdale Drive, south of Bath Road off Bayridge Drive. It is adjacent to Rotary Park and Lemoine Point Conservation Area. Acceptance of the CBYC Sailing School Terms of Service, is mandatory to participate in any CBYC learn-to-sail program.